This week I had my house filmed for an installment of the Etsy series There is No Place Like Here. I’ll keep you posted on when it airs. As I walked through the house narrating everything for the cameraman I started noticing all the “art” (I’m using this term loosely) I had around the house that I had made using little more than glue and decopauge. Super easy projects, that I think look super fun. 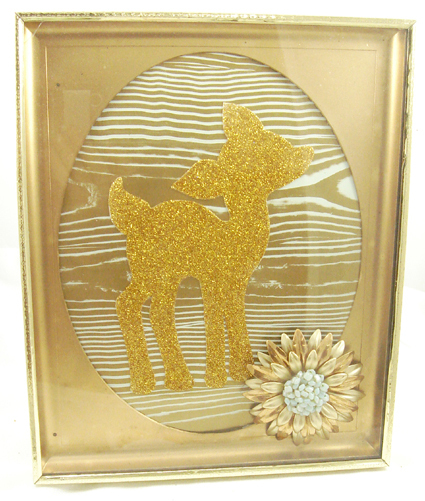 Today for I Love to Create I’m going to give you a mini tour of some of these pictures around my casa and show you how to make your own glittery fawn portrait. 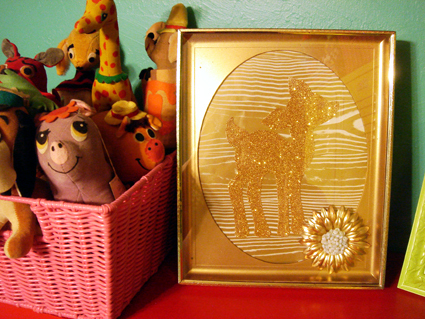 Speaking of glitter, I owe everything I know to the Crafty Chica. 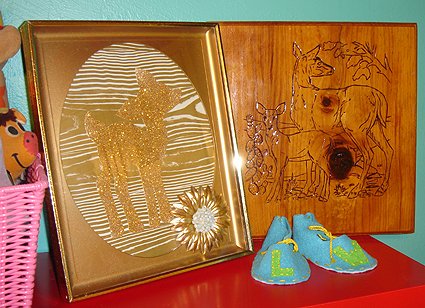 This is a shadow box that my husband Chris made on an episode of Craft Lab when Kathy Cano Murillo was the guest. 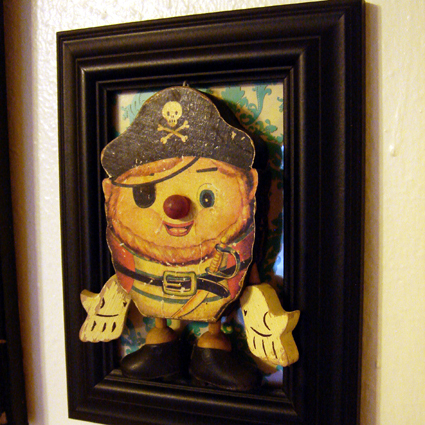 The latest addition to my bedroom was made my simply framing some scrapbook paper and using a little Liquid Fusion glue to attach the toy pirate to the glass of the frame. 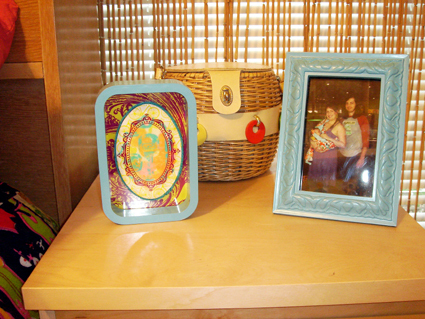 Also in my bedroom is the very first craft project Chris and I made together, shell & plastic sea life covered picture frames. We made these to enhance our pictures taken at the Texas State Aquarium. Wow this glue job has held up for over 10 years! 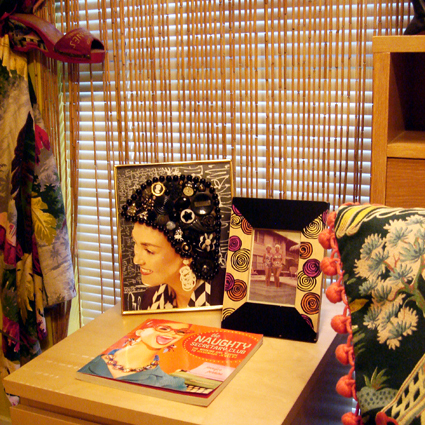 Across the hall in the spare bedroom a Floral Fro sits on a bedside table. On the otherside sits a piece of art that I made when my friend Traci Bautista came to visit. One of my favorite ways to frame a picture is just to simply decopauge the image to the lens of a pair of vintage eyeglasses. 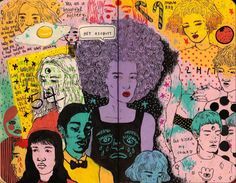 Most times to make art for your house you don’t even have to lift a paintbrush. Feeling inspired and thinking you might want to make your own one of a kind crafterpiece (get it like masterpiece) for your digs? 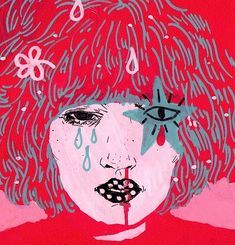 Well read on and grab your glitter. Once you have gathered your crafting supplies, decide on which animal you are going to use. You might remember from my post Fawning Over Fawns that my daughter’s middle name is Fawn so that is the animal I opted for. Choose any animal you like look for a picture of that animal in profile that can easily be traced and transformed into a silhouette. Print your image out on cardstock and cut out with scissors. 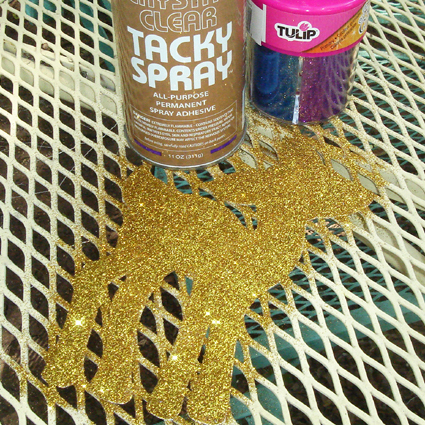 Take your deer silhouette outside and lightly coat with Tacky Spray. While the glue is still wet cover with gold glitter. While the glue is drying trim your background paper to fit inside the picture frame. Again I opted for a wood grain paper in gold and aqua by Martha Stewart that I thought kept up with the golden forest theme I was going for. 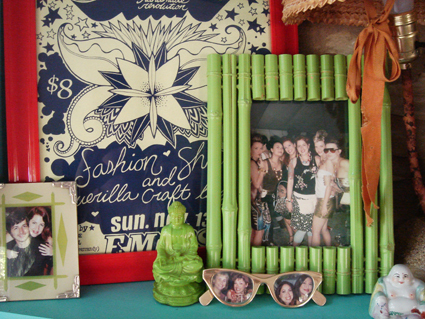 I found my picture frame at the thrift store and what I loved about it was that it had a 3D effect. This allowed me to adorn it a bit. 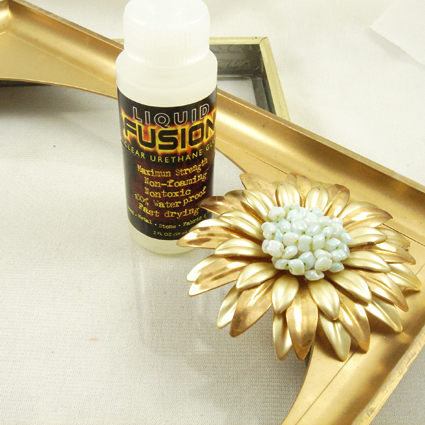 Using Liquid Fusion Glue I adhered a vintage gold metal flower pin to one corner. Also using Liquid Fusion I added a solo clip earring in aqua I had to the center. 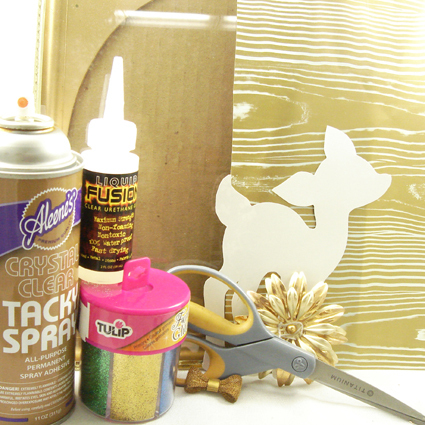 Once the glue and glitter have dried on your fawn use more Tacky Spray on the back of the deer to adhere it to your wood grain scrap booking paper. Put the picture inside your frame and set on a shelf and admire. The whole thing took less than an hour and was done with a 4 month old baby on hand so anyone can do this project! 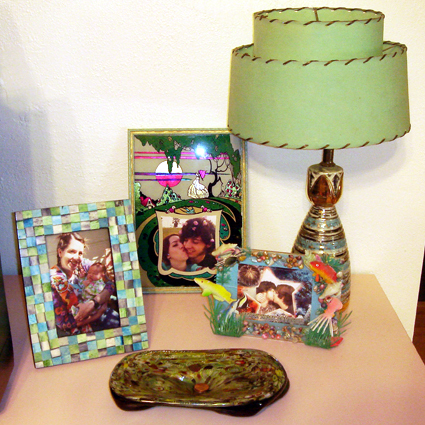 Posted June 25, 2009 & filed under Art, Home Décor Crafts, I Love to Create. while exploring my local craft store- i stumbled upon your book- i absolutly love it- soooo many cute ideas!!! Thanks for the inspiration! keep doing what you do- i love your "fancy" stuff! 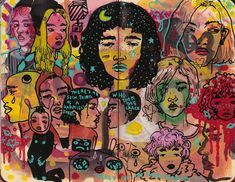 I love your one-of-a-kind artwork. 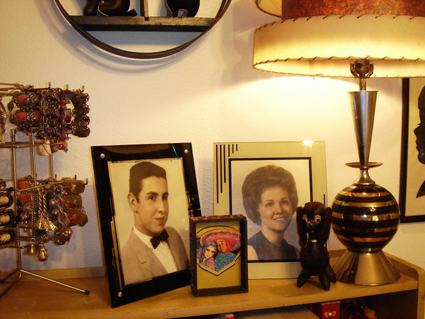 It's the love-infused pieces like yours that make a house a home. 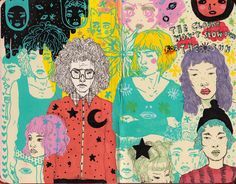 I love your art. Its always fun to see what other people make and hang in their homes. I will have to try out the technique with a bunny for my daughter. Love this piece of art. Wonder if an 11 yo boy would like to make something like this…I'm sure he would love to search out the thrift store for treasures…maybe the framed terrarium would be more his speed. Thanks for the ideas. I love the glittery sweetness of it all! Hi sweetie!,Can't wait to see the Etsy installment! 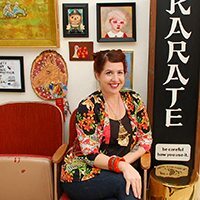 I really love your home and all the fabby ,quirky art that also has such sweet sentiment behind it(the aquarium frames!)! What a bunch of cool ideas! Thank you for the tour.